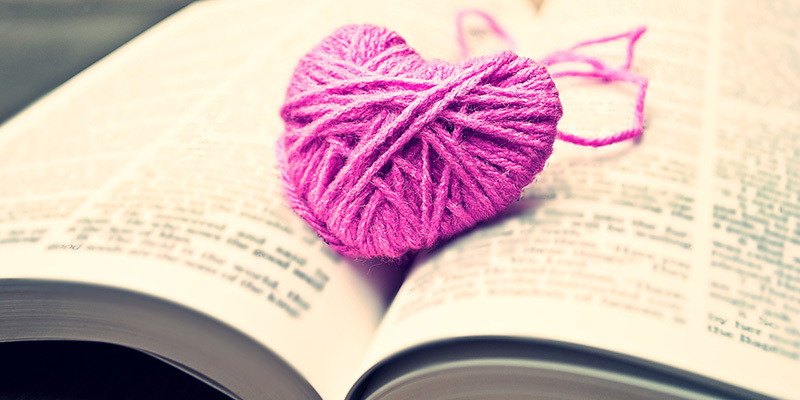 Book Nerds Who Knit: Are You One of Us? |Sponsored| Here at Interweave, it goes without saying that our team puts knitting first. But running a close second is our love for the written word (and third might be a nice glass of red wine that magically refills itself, but that’s another story). When we aren’t talking about knitting in the break room, we’re often talking about books. Many times, it’s all about the audiobook, which allows us to keep our hands free to indulge our obsession with yarn. Below is a collection of short recommendations on audiobooks we’ve recently enjoyed and we hope you do too. Read on, knit on! My coworkers have been touting the benefits of audiobooks for years, but I’ve always been skeptical. I’m a paper person—I like physical books, magazines, and newspapers (maybe that’s why I work in the publishing industry! ), and you can have them when you pry them from my cold, dead hands. So while my colleagues discussed the absorbing plot and narrator’s fabulous voice in their latest audiobook, I sat smug and superior, firm in my conviction that paper books were the true and righteous way to read. Then I started knitting. (Pride goeth before the fall, right?) I quickly fell in love with my new hobby, but I realized that listening to music while I knit didn’t always cut it—I needed more substance during my crafting time. So I swallowed my pride, reluctantly dipped my toes into the audio storytelling world with podcasts, and found that (to my chagrin) I loved them. After zipping through every interesting podcast I could get my hands on, I knew I was ready to take this auditory relationship to the next level with an audiobook. 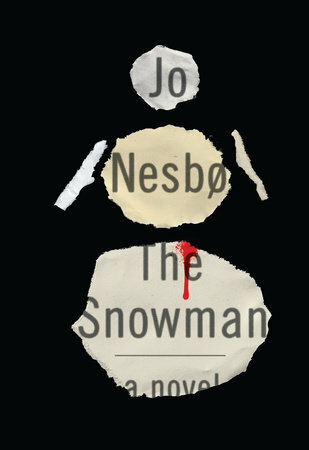 I’m usually a literary fiction and classics kind of person, but I decided to depart from my norm a bit and download the thriller The Snowman by Jo Nesbø, and I’m so glad I did! This well-crafted book is suspenseful and intriguing and a little bit creepy and I am INTO IT. I don’t like being scared, but Nesbø is perfectly walking that line between spine-tingling suspense and flat-out terror. Since I started the book, I’ve been finding extra knitting time every day just so I can listen to it. Actually, it’s so dang good that I’m not just listening to it while I’m knitting: I’m listening while I’m getting ready in the morning, when I’m at the gym, while I’m cooking—basically, anywhere and everywhere! I’m completely hooked (and I’m determined to finish it before the movie comes out). This is the seventh book in Nesbø’s Harry Hole series, and you can bet I’ll be downloading the others when I finish this one! I’m going to get so much knitting done this winter . . .
Click here to sample The Snowman. There are two things in life that are certain: death and detective novels. Many paper books have graced my home over the years, but only a few have landed on my phone in audiobook format. Since I began knitting, audiobooks have become mainstays in my life. I’ve always been a voracious reader; my life has never been complete unless I’ve had two or three books half-finished at a time, but my knitting habit required me to make a few adjustments to accommodate my literary appetite. While I’m occasionally able to crack a paperback binding to get it to lay flat for a brief knitting session, it’s better for me to plop on my noise-canceling earphones and sit back to stitch with an audiobook. I love a good fantasy, mystery, thriller, detective, or suspense series. When in college, I read the classics (and I still do), but the moment the school year was over my first summer read was always in the vein of Stephen King, Neil Gaiman, Jim Butcher, and Stieg Larsson. The Millennium Series, aka The Girl with the Dragon Tattoo series, came into my life after Larsson had passed away. I’ve read all the books and have always wished there were more books available along the lines of that captivating series. 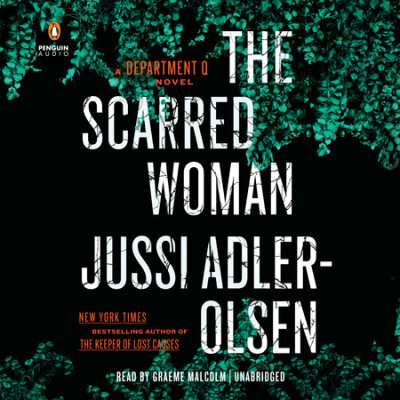 In search of new intrigue to fill the void, I came across Jussi Adler-Olsen’s Department Q. I’ve listened to previous books in this series, but the seventh installment, The Scarred Woman, is the author’s most gripping tale yet. After downloading the audio file I mistakenly began listening while still at work. I found myself halfway through the book by the end of the day. Oops! The plot takes you on a vivid, fast-paced, and complex ride. The most gratifying moments come when Adler-Olsen’s many subplots start their intersection. This book will keep the listener rapt and guessing, to the very end. Click here to sample The Scarred Woman. In the practice of meditation, there is a recognition that the human mind is bound to wander. Most people are not “good” at meditating the first time they try it. But it’s taught that awareness of passing thoughts is an important component in meditation, and one that allows you to come back to center. The trick is that when you become aware that you have mentally wandered away, you gently bring yourself back into the moment, without judgment or disparagement. Even if you continually become distracted by your thoughts, you just keep bringing them back to the present moment. Over time, that persistent practice in awareness is where people see the benefits of regular meditation. For me, audiobooks present a similar challenge in focus. I’ve never been great at absorbing information solely by listening, which is why when I was in school, I always had to take a lot of notes. I needed to process the information through writing it and then seeing what I had written (I could take perfect notes and not really hear a word). So for me, when I am knitting and listening to an audiobook, my mind naturally wanders away from the moment at hand. But I treat it just like meditation: once I notice that I’m somewhere other than in the moment, I gently bring myself back and tune into the narrator once again. It happens over and over, but with time my focus becomes stronger and I can absorb the story, characters, and dialogue without too much rewinding. Not only does this help my general level of awareness in everyday life, but it allows me to both absorb books and knit a lot, without having to sacrifice one for the other. 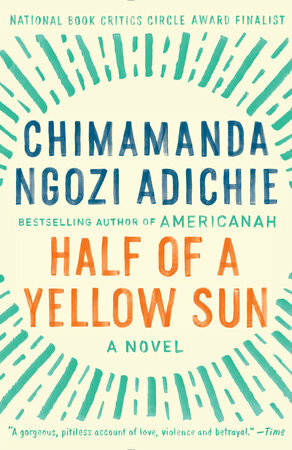 There are some fantastic books available in audiobook format, and my #FOMO has been showing lately, so I was excited to learn that Chimamanda Ngozi Adichie’s book Half of a Yellow Sun is now available. Adichie has inspired me repeatedly ever since I saw her TED talk about the danger of only telling a single story. In Half of a Yellow Sun, she demonstrates the value of telling multiple stories by including three different characters’ perspectives around an important historical event that took place in the 1960s in Nigeria. While I still find myself noticing that my mind wanders while I listen to Adichie’s words, I always gently bring myself back, and with practice I am getting better at soaking in the information in order to become a more empathetic person through multifaceted stories. Click here to sample Half of a Yellow Sun. Want to check out more audiobooks that might strike your fancy? One of our favorites sites for scoring our next audiobook fix is over at Penguin Random House. Not only do they have thousands of audiobooks to choose from, but you can preview them, too. Check them out. When I went to graduate school in the 1970’s to learn to be a librarian, I thought literary fiction, biography and history were the only worthwhile things to read. Mysteries!? Heavens! How very pedestrian–well, with the possible exceptions of Agatha Christie and Sherlock Holmes. I can’t remember exactly when my conversion came about, but I think it may have been P.D James and Tony Hillerman who initiated what would become an enthusiasm bordering on obsession. Probably, The Name of the Rose factored in as well. Then came a recommendation from a friend to listen to the Amelia Peabody series in audiobook form, narrated by the extraordinarily talented Barbara Rosenblatt. Then I learned to knit. Then I had several years of skeletal issues and accidents resulting in surgeries. All of these events coalesced into what I now consider to be a taste of heaven: some wine, an audiobook mystery, and a knitting project. Bliss.